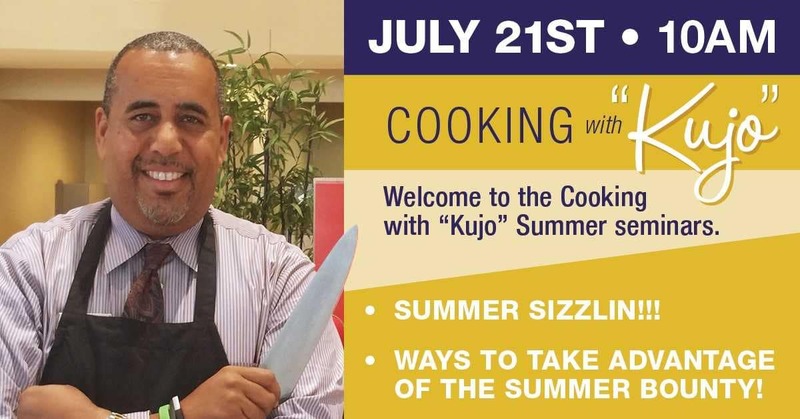 Cooking with Kujo which was scheduled for Saturday, July 21 has been canceled. We apologize for any inconvenience this may cause. Welcome to the Cooking with Kujo classes & seminars. Kujo is Kurtis Johnson the General Manager here at Legacy Toyota. In his prior life, he was a Chef and Sommelier for 17 years. “Cooking with Kujo” is an ongoing bimonthly seminar with topics such as Cooking Methods, Let’s Grill and Fall Favorites. Join us at our next event, “Summer Sizzlin!”, on Saturday, July 21, 2018, at 10 am at Legacy Toyota. Class size is limited. Please RSVP to Tamara at (850) 558-2347 or by email at tswatts@legacytoyota.com.